WSKO Instructors and US Kenshi at Hombu in Japan during 2005 International Study Session. Ann Arbor Kenshi are in the middle of the second row from the top. 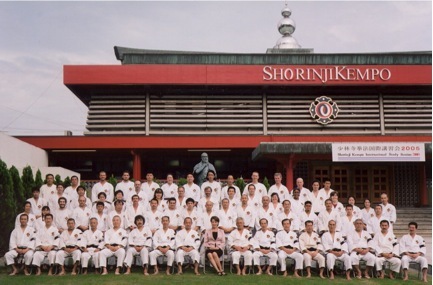 The WSKO web site includes a listing of all Shorinji Kempo national federations and official Branches in most countries. The following list focuses on the North American Branches, but also includes some interesting sites in other places. Contact information for Branches without web sites can be found on the WSKO contact page. The USSKF web site includes contact information for all US Branches. Kenseikai (Shorinji Kempo Alumni Association of Tokyo University) - Lots of information, animations of techniques, videos -- definitely a labor of love!